South Carolina Democrats have expressed opposition to a Republican-proposed legislation that would require state institutions to teach a “Constitution 101” course. 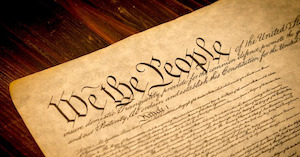 The bill would update a current requirement to teach the course, which would cover America’s founding documents, such as the Constitution, the Declaration of Independence and the Federalist Papers in state universities, something that the University of South Carolina (USC) has ignored. The bill has already received approval from the state Senate, however Democrats in a recent House subcommittee hearing claimed the changes would be too financially and academically taxing on students, according to The Daily Signal. Democratic Reps. Ivory Thigpen and Wendy Brawley argued the cost of the course could be transferred onto students and cited a representative from USC who voiced opposition to the legislation’s requirement that a student must pass a comprehensive exam on the “Constitution 101” course material to graduate. The legislation is the most recent attempt from state Republicans to get USC to require a class that is currently mandated by law.